I have joined the MixCloud and think it’s a great idea, you can find my latest 077 Podcast in the cloud! UK startup Mixcloud has gone live with their site that combines podcasting, social media and Digg-like discovery to create what they are calling “cloud radio”. Here’s a video to explain the concept! This Thursday is the Third Thursday of the month (my birthday 🙂 and for a group of us that means a Social Media Club. It’s normally organised by Sherrilynne from Strive, but she’s on holiday at the moment, so she asked me and @OwenC to set it up. So, what’s Social Media Club all about? Well, it’s a gathering for people interested in Social Media. You may have just been introduced to Facebook; or you could have a thousand followers on Twitter; or maybe you want to find out what blogging is and whether your company should be doing it. Social Media Club is an avenue to meet people with a common interest, share experiences and discuss the latest and greatest happenings in the Web 2.0 world. Next Thursday is the Third Thursday of the month and for a group of us that means a Social Media Club. It’s normally organised by Sherrilynne from Strive, but she’s on holiday at the moment, so she asked me and @DerekRichardson to set it up. It’s amazing how time is flying by! This is what happens when you love what you do. The last two weeks have been exhilarating and it doesn’t look like it’s going to slow down. As always on the Third Thursday of the month we have our Social Media Club, set up by Sherrilynne. Here’s all the info from her latest Blog post. Next week 16 July is Third Thursday in the Isle of Man and that means that everyone is invited to drop in for lunch with the Social Media Club at Paparazzi on the Promenade in Douglas 12.30 to 14.00.Anyone who is interested in Twitter, Facebook, blogging, podcasting or any online social web interaction should come along. It’s very casual. Everyone buys their own lunch and we discuss what we’re doing online, what’s new, what’s cool (what’s NOT cool), etc. The idea is to share news and information and to share what each of has learned. It’s also really fun to get to actually meet the people we’ve been tweeting with, commenting on and reading about. If you’re in the Isle of Man join us for lunch and chat! This Thursday is the Third Thursday of April, which means it time to get Social over lunch! If you have an interest in Social Media and how the world is changing through technology, then please join us. Basically, we are bunch of bloggers, Twitterers, Facebookers and people who are enthusiastic or curious about Web 2.0 and how individuals and organisations can use it. Anyone who is interested in journalism, publishing, communication, marketing, art, media, teaching, learning, Internet and marketing is welcome. In short, anyone who is curious about how modern humans communicate should come along. We meet at Paparazzi in Douglas at 12.30. Everyone buys their own lunch and we have a nice, social chat about what’s new, what’s cool and what we are working on. Everyone is welcome. Please come! I will be there as a Podcaster & New Media Fan! So it’s been a really busy couple of days! I arrived back in the Isle of Man yesterday, to find out my luggage didn’t travel with me! Oops – filled with presents for the kids from the Grandparents. Thanks to Flybe for finding it and delivering to our home last night! I am so happy to be back! The Isle of Man is truly the best place in the world! Found an interesting post this morning my Elizabeth Lewin, from Podcasting News. I always enjoy reading her posts! It’s something I have been saying for years!!! John Hirst, head of global content and podcasts with the UK’s Global Radio group, says that podcasting has the potential to “create new and lucrative revenue streams” for newspaper, radio and television businesses. Global Radio has over sixty stations throughout Great Britain, including syndicated brands Capital Radio, Classic FM and LBC, and purports to have generated over £1million sterling from its podcasting efforts. 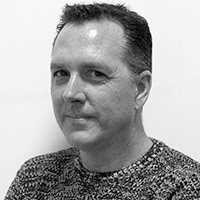 In an interview with Business and Leadership.com, Hirst recounted the podcast-monetization timeline at Global Radio, which has been producing audio and video podcasts for the past four years. After spending a year in the planning stages, the group had £40,000 sterling in sales in the second year, and £450,000 sterling in year three. Podcast revenue “is growing significantly at present,” he said.